I’m dusting off the cobwebs here. I’ll be posting back dated entries to get the things I’ve done and places I’ve seen added to the site, but I want to burn the candle from both ends and start updating again as I visit places. 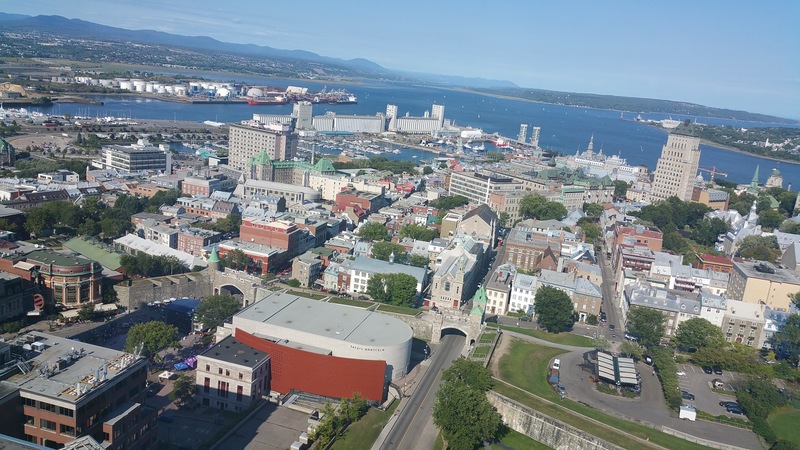 So here’s the first – Quebec City. I’m doing major roads in and around Quebec City for work. It’s a small project, but with the interchanges/chaos that are the road network of any older city, it’s taking me a while. I’ve been doing this work for a little over three years now, and if there’s one thing that I’ve learned in that time it’s that I prefer the wide open spaces of rural areas over the congestion and chaos that is inherent in large metropoles. (Side note: had to look that one up. I thought it might have been metropoli.) There’s a greater sense of movement obviously, but my inner ADHD kicks into high gear when I’m in big cities and stress levels rise. I get overly frustrated when I miss a turn off or realize too late that a road doesn’t go quite the way I thought it would. That’s not a big deal when you’re visiting a new place for the first time, but when you’re doing that for 8 or 10 hours a day? Yeah. I also feel a greater sense of alone-ness while I’m in Quebec. I didn’t do well in French class back when I took it – in junior high school. Now? Some thirty or so years later? Yeah. Je suis désolé, mais je ne parle pas français. So an already lonely job gets even more so. All of that said, QC has been good to me. It is an old city and holds the delights of old cities. Grand architecture, amazing people, and the sense that there is always something to be doing. I also got to have a brief visit with two of my coworkers who were spending the weekend in the QC Hilton (see the first photo of the post) for a brief break. That place has one spectacular view from their executive lounge. I could have spent days just sitting up there working on writing/drawing stuff. While visiting, we went to get some rather tasty crepes at Crêperie-bistro Le Billig, which I highly recommend. Lastly, the work isn’t entirely within Quebec Ciy. 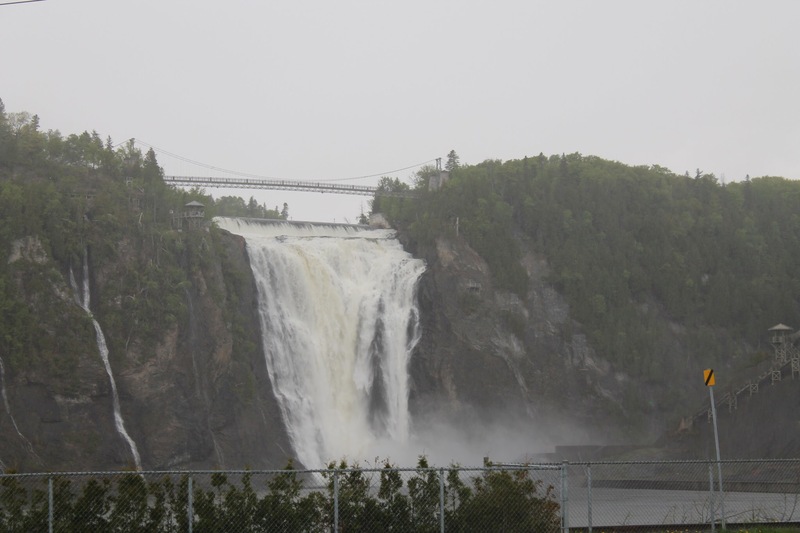 Some of it dips out into some of the slightly more rural (suburban) areas of Quebec surrounding the city. One such area was where I stopped to stretch my legs and get the blood pumping for lunch. It’s a little park called Parc Richelieu. It’s a little hard to find on Google Maps, but it wraps itself around Lac Goudreault – which is easier to find. There wasn’t anything about the park that was exclusive to Quebec, but it was delightful, and the little old man who greeted me in French as he prepared his fishing pole for the afternoon’s passing was pretty much perfect.